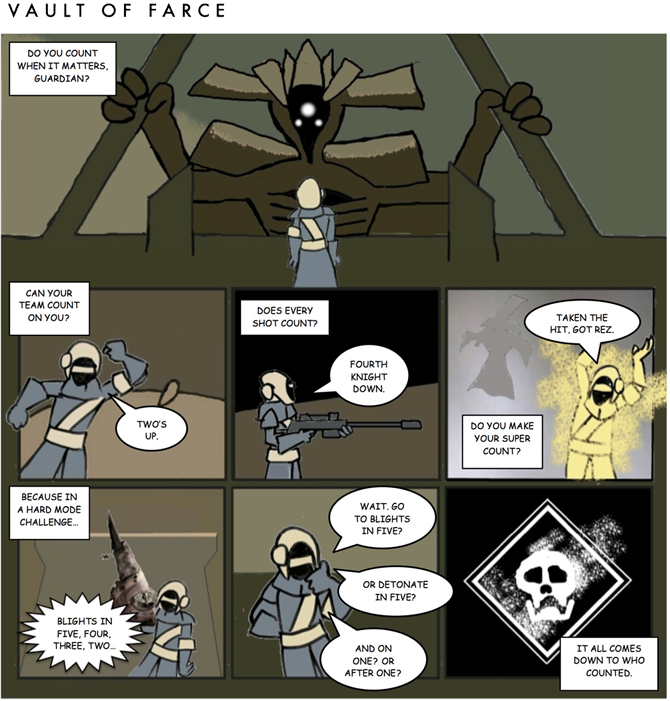 It's Friday and Stuntmutt is gearing up for Rise of Iron! Good news, I'm approximately 4000 miles away from the laptop and copy of Word that I use to make VoF. Apparently my peers were off celebrating the Fourth of July early this weekend and forgot to post the latest Vault of Farce from Stuntmutt. We shall correct this error... now! 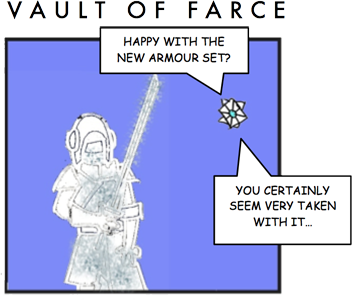 With the Weekly Update light on content, Vault of Farce asks the big questions about the upcoming expansion. Caesar? I never even met 'er. Full credit to Stuntmutt for the headline; I couldn't NOT use it. 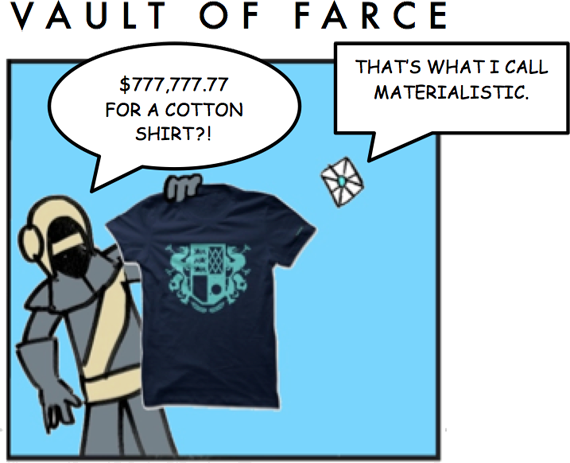 Stuntmutt has some issues with Destiny's RNG rewards. I suppose he has a point. 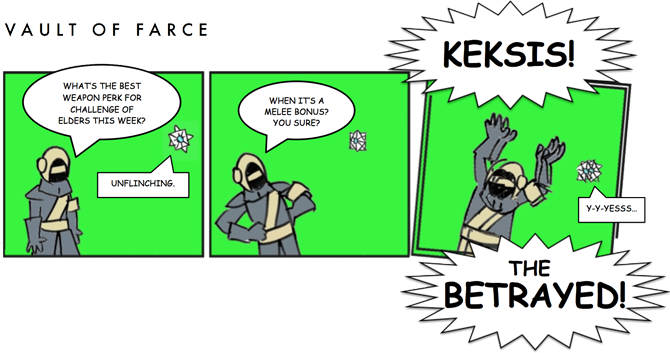 Stuntmutt's got a point... Variks has gotten somewhat more... enthusiastic this time around. Looks like we forgot to post this yesterday! Stuntmutt reminds us that all of this has happened before, and all of this will happen again. Stuntmutt let us know he's a little nervous about the tweaking incoming next week. 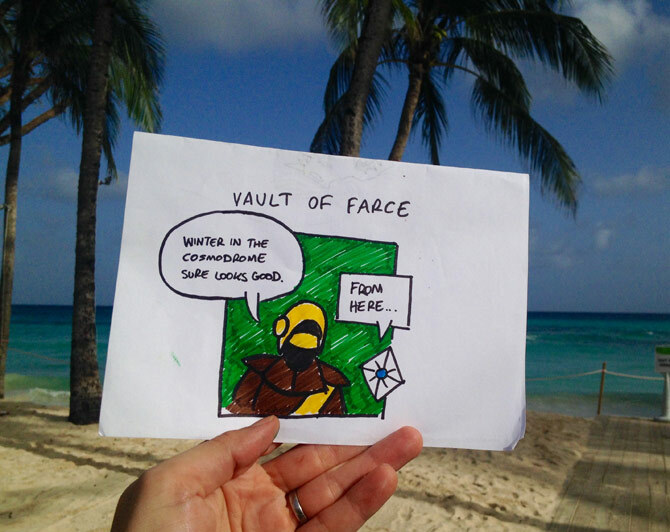 Stuntmutt sent along a Tuesday Vault of Farce; he suggested its tardiness (it arrived this morning) might be due to an overabundance of chocolate last weekend. Either way, it's totally appropriate for this week's King's Fall Challenge Mode... and I can't even tell you how many times I've lived through it. Stuntmutt continues to impress. Or not impress. I can’t tell anymore.